On Android Device, We get Stock Browser for Surfing Web and Downloading Too. But Due to Some UI and Other Lack of Functions we Opt for Other Browsers like FireFox | Chrome | UC and Many More! 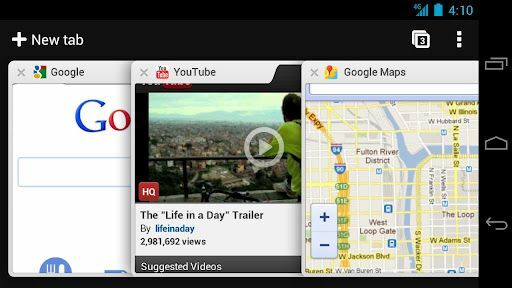 In this Post, We have Mentioned Top Browsers Used on Android Phone. >> From The beginning of Day, Dolphin Browser Hitting Play Store as it is Downloaded more than 80,000,000 Downloads. This is No.1 Mobile Web Browser on Android Market. Tabbed Browsing and Dolphin Connect Which will be used to Sync History,Bookmars and Even Open Tabs. Add-ons Features and Wifi Broadcast. There is A Mini Version also Exist for Small View of Application Use but Bigger MB of Version much preferred because of Stability Fixes. 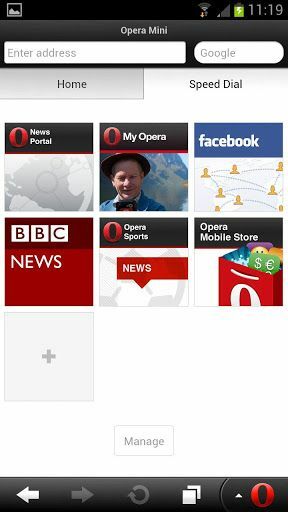 >> Opera is preferred for Speed | Fast Surfing and Reduced Data Usage. The New UI is Simple as Previous version but Improved in Sense. Smart Page lets us update from Social Networks. Tabbed Browsing for Better Surfing. Other Version Of Opera Web Browser is Available Named as Opera Browser which is Basically have New UI than This Version and have Some Stable Fixes Applied and More graphics improvement. >> We are using UC Browser from many days as it is Available on Different Mobile Plateforms. Reduced usage of Data with Pre-load Managed Pages. Download and Surf Parallely as Download will perform In background without any slow down of speed. UC Supports Memory optimization i.e, Increase stability and minimize crash rate for low RAM phones. The New UI is Awesome with Eye Catching Graphics. Another Mini Version of UC browser also Available which is lite in Features but Performs much more. UC Mini Browser is Recommended for Downloading of Files mostly. >> On PC Plateform, Mozilla And Chrome Hitting The Market in Browser Category. Many of Extensions or Add-ons are readily available on Mozilla Web Browser. Add-ons Available for Customising Way Of Surfing. Awesome Screen which automatically sorts your Favourite Sites on Easy-to-read page. Awesome Bar for Search Bookmarks,History. Mobile Video support for wide range of video Formats. Reader Mode Security and Sync With Desk Mozilla Version. >>Now With Chrome Browser surf the web as Fast and Speedy as You Surf on PC version of Chrome. The Simple but Broad Sense Design of Chrome lets you Surf the web Fast, Accelerated Page Loading and Scrolling. Sign in to Chrome Browser for Syncing with PC version of Chrome and So,you may manage web pages on both device at Ease. Browser Supports Incognito Mode as Usual to Surf Anonymously. >> Maxthon Cloud Browser is Said to be World”s Smartest Web browser for Mobiles. Maxthon available for Different Devices including Tablets. Cloud Tabs lets you Sync your tabs with other Devices too. Incognito Mode named as Private Browsing. Small Add-ons without Slowing Surfing. Advanced Gestures lets you create your own touch screen commands to surf net. You may Personalize Maxthon with various Available Personalization Themes and Avatars. It is said to be that, Facebook, Google, Yahoo, Twitter, Amazon, YouTube load faster than any other mobile browser for Android. 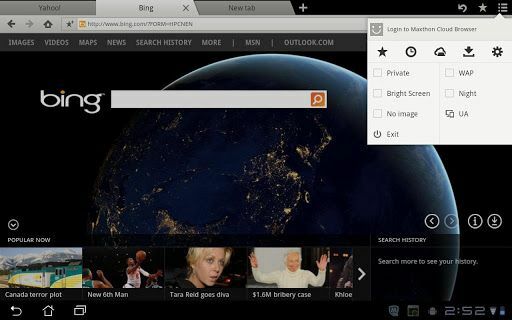 >> In This list, One Browser also liked by many of people as They say One Browser Performs Better in Surfing with Fastest And Smartest web Browsing . Fully Supported by HTML5 and Saves Bandwidth by Picture Compression and Web Optimization. especially on 2G Internet users. These are most used Web Browsers used on Android where Other Browsers like SkyFire Browser,Puffin Browser,Boat Browser are available but not much Preferred due to Lack of Features in it. So,Now you may Choose your Browser as per your need and Features you want. Which Browser you Usually use to Surf?